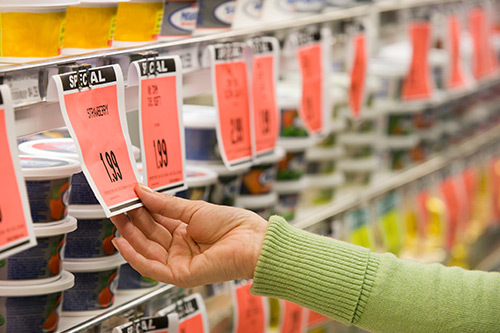 Using coupons and looking for the best price are easy ways to save money at the grocery store. Follow these tips and start saving today! 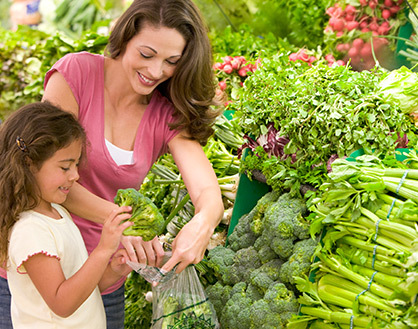 Before you head to the grocery store, plan your meals for the week. 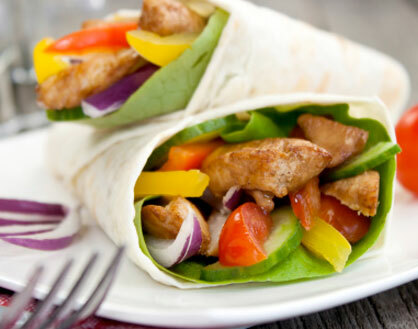 Include meals like stews, casseroles or stir-fries, which “stretch” expensive items into more meals and snacks. Check to see what foods you already have and make a list of what you need to buy. Check your junk mail for coupons, or go online for coupon codes or to download coupons from stores or food companies. Also, look at receipts from the grocery stores, and check out in-store signage for on-shelf coupons —you might be surprised how many coupons are out there. Sign-up is usually free, and you could see start saving as soon as you sign up. This one is super easy—make the most of your money by stocking up on food that is on sale. It’s almost always cheaper to buy foods in bulk. Smart choices are family packs of chicken, steak or fish, and larger bags of potatoes and frozen vegetables. Before you shop, remember to check if you have enough room in your freezer. Store brands can cost less than some of the name brand foods. Compare the items to find better prices. Make a shopping list for everything you need. Keep a running list on your phone, on the refrigerator, or in your purse or wallet. When you’re in the store, do your best to buy only what’s on your list.